Over 20,000 marketers have already started writing with this guide! 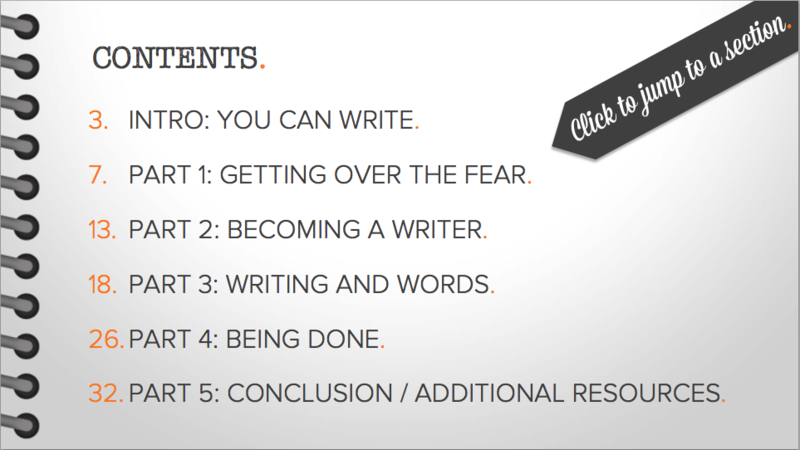 Download these free tips on how to become a better writer. Learn how to start writing, improve your writing, and beat writer's block. Writing well isn't easy for most people. 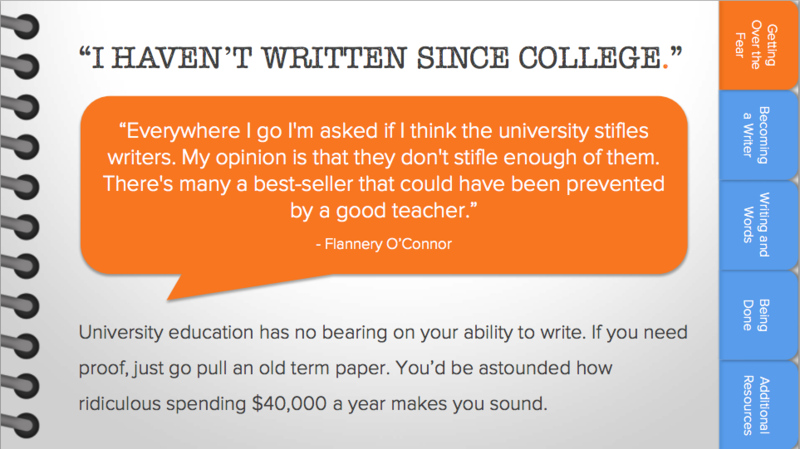 The good news is: you can write well, no matter how “unqualified” you think you are as a writer. 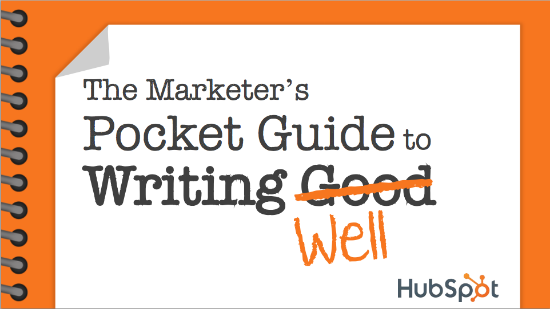 The Marketer’s Pocket Guide to Writing Good will give you the tips you need to improve your writing. Have you ever made these excuses? "I always get writer's block." Writer’s block is an annoyance, but it’s not a reason not to write. 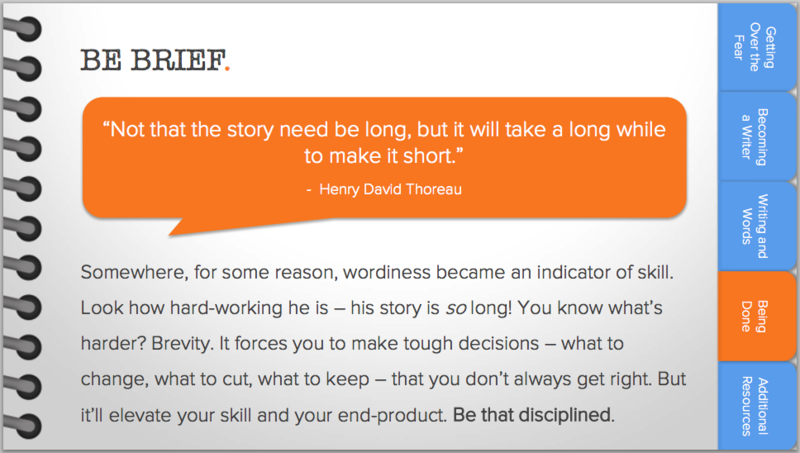 Force yourself to get started wherever it’s easiest – jotting down an outline, pulling quotes, conceiving storylines – just for the sake of making a blank screen less intimidating. "I don't have anything to say." You have value in just being you. 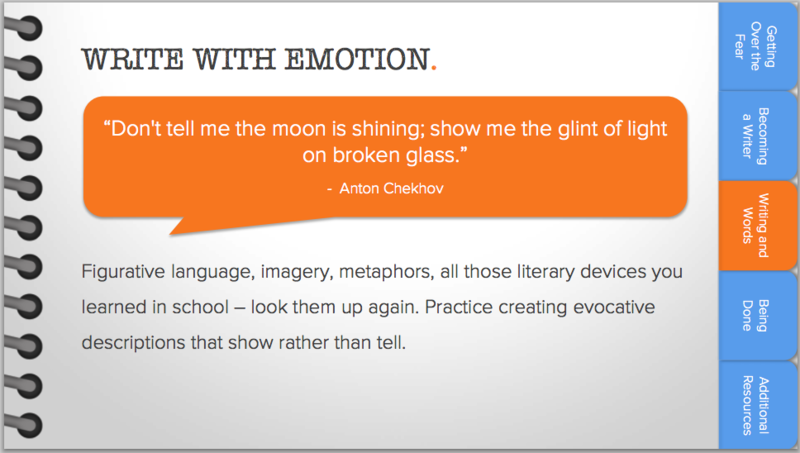 Let that show through in your writing – very few others will have the guts. Be genuine. Be open. Show someone why you care. That passion delivers value enough. 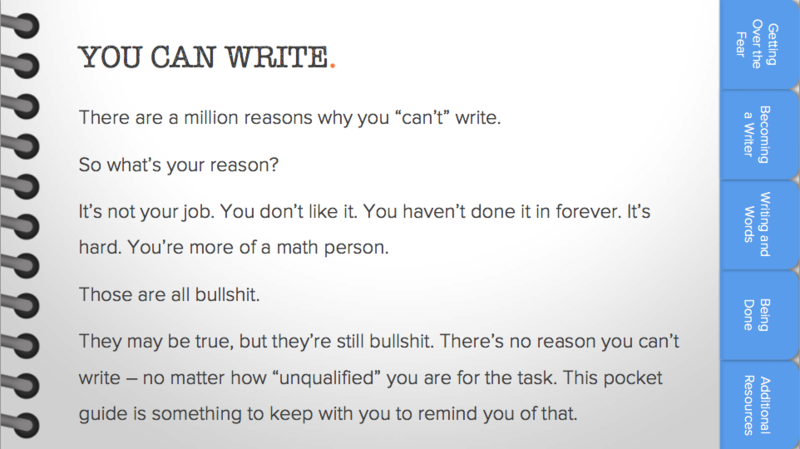 There's no excuse for why you can't start writing. You can start today, with the help of this ebook.